Over 30 years ago in rural Scotland, Rona Rose started making natural skincare products and natural cosmetics in her own kitchen using herb and plant material, essential oils and other traditional ingredients. She made moisturising creams and lotions to recipes formulated by herself and based on traditional ingredients used safely for hundreds of years. Her aim was to produce best quality natural additive-free body care products. From early days she created products with natural ingredients which worked as well as or better than commercial brands, without using paraffin oil, synthetics, artificial dyes or animal by-products. 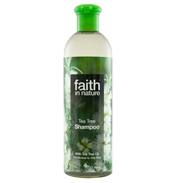 With Faith in Nature you only get Natural Skincare Products and Natural Cosmetics.